Olis Robotics, the leader in next-generation remote robotics software (formerly BluHaptics), has announced the acquisition of White Marsh Forests (WMF), a pioneering machine learning startup based in Seattle. WMF was launched by MIT Ph.D. and former Microsoft Partner Software Architect Steve White and Don Marsh who was a veteran Principal Software Architect at Microsoft and earned his Master’s Degree from Berkeley. As part of the acquisition both White and Marsh will join Olis. Olis Robotics has won and currently maintains contracts with energy sector customers as well as with NASA and commercial space companies to enhance mission success. 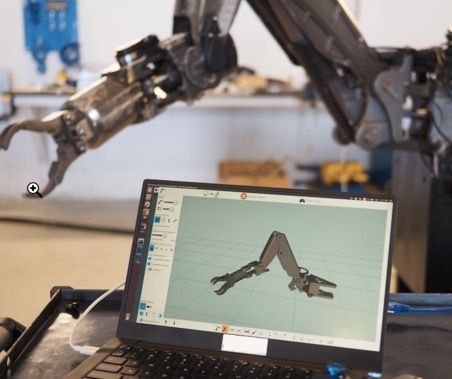 ABOUT OLIS ROBOTICS – Olis Robotics, formerly BluHaptics, has developed a next-generation software platform that greatly expands the capabilities of pilot-controlled service robots in the field. Olis enables vast improvements in robotic dexterity, precision, efficiency, and overall mission success, while simultaneously reducing downtime and driving down costs. Olis predecessor BluHaptics was founded in 2013 as a spinout from the Applied Physics Lab at the University of Washington. Olis Robotics is based in Seattle with offices in Europe.